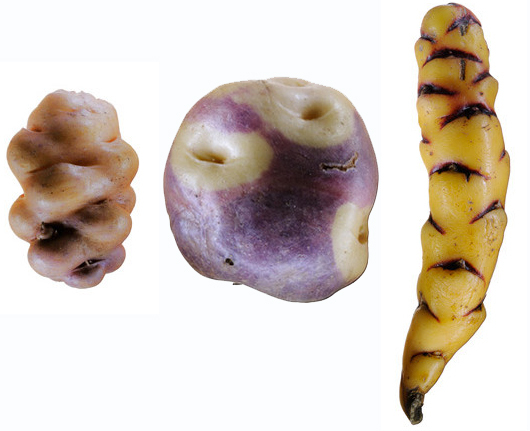 ﻿﻿ "Food varieties extinction is happening all over the world—and it's happening fast. 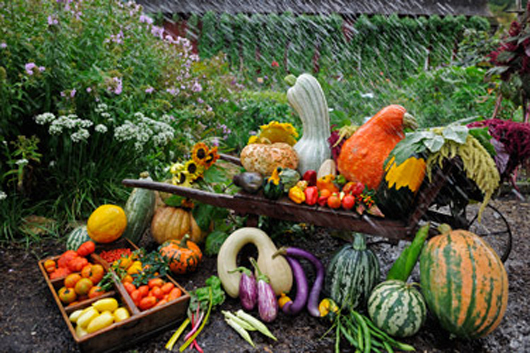 In the United States an estimated 90 percent of our historic fruit and vegetable varieties have vanished. Of the 7,000 apple varieties that were grown in the 1800s, fewer than a hundred remain. In the Philippines thousands of varieties of rice once thrived; now only up to a hundred are grown there. In China 90 percent of the wheat varieties cultivated just a century ago have disappeared. Experts estimate that we have lost more than half of the world's food varieties over the past century. As for the 8,000 known livestock breeds, 1,600 are endangered or already extinct." "[e]nsuring that the genetic diversity of the world's food crops is preserved for future generations [by] stor[ing] duplicates of seeds from seed collections around the globe. Many of these collections are in developing countries. If seeds are lost, e.g. as a result of natural disasters, war or simply a lack of resources, the seed collections may be reestablished using seeds from Svalbard." The photographs of terraced rice fields in China, of some of the four hundred varieties of potatoes grown by one family farm in Peru, of sheep in Scotland that forage on seaweed rather than grass, and of Ethiopian markets selling ancient grains like teff point to another extinction that we should worry about. As the world migrates into cities, and farming is taken over by larger and larger entities, the human knowledge that creates this wild diversity of food plants and animals is being extinguished. I thought especially of current efforts to 'modernize' farming in China, moving peasant farmers off the land, and turning it over to corporations. 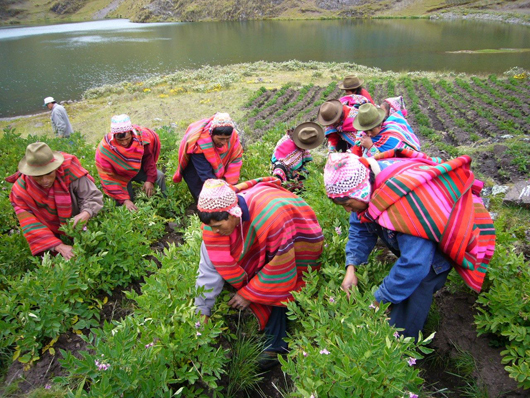 The cultural knowledge farmers developed in reaction to a specific place and environment is what created these many varieties, and are part of a beautiful dance we have evolved with soil, water and sun to feed ourselves. Part of the effort of preserving and creating farmland, of resisting the trend towards larger farms located further away from where we live, is to keep this knowledge alive. Perhaps the second part of this equation is a 'Global Farmer Vault', a place where displaced farmers can keep working, and pass their knowledge and understanding down.